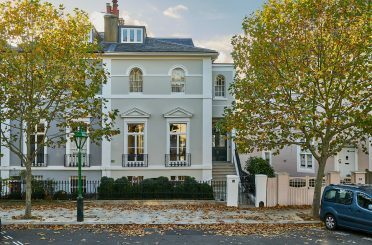 Built in 1750 as a detached house for a wealthy widow, this Grade II listed building in Richmond was converted into two separate houses in 1870, by which time it had already lost much of its large garden. 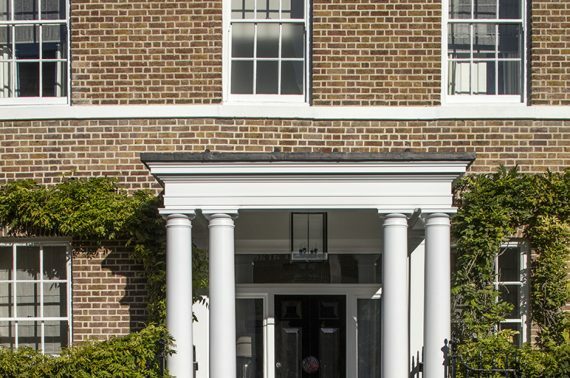 The building was then converted again to one large office in 1973, and around this time it had modern offices built either side. 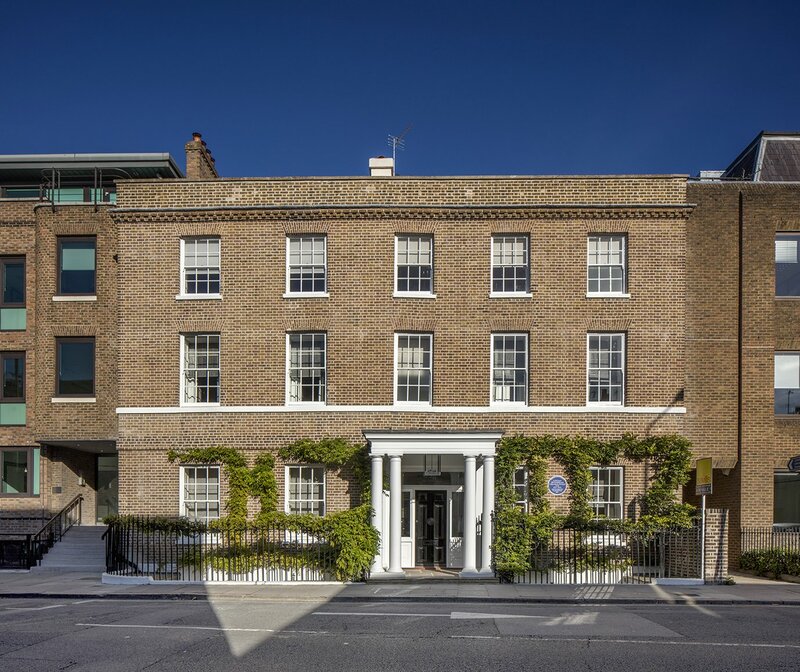 Among many interesting characters to have lived here since 1750, a recently married Virginia Woolf and her husband Leonard moved into one of the houses in 1915, calling it Hogarth House. 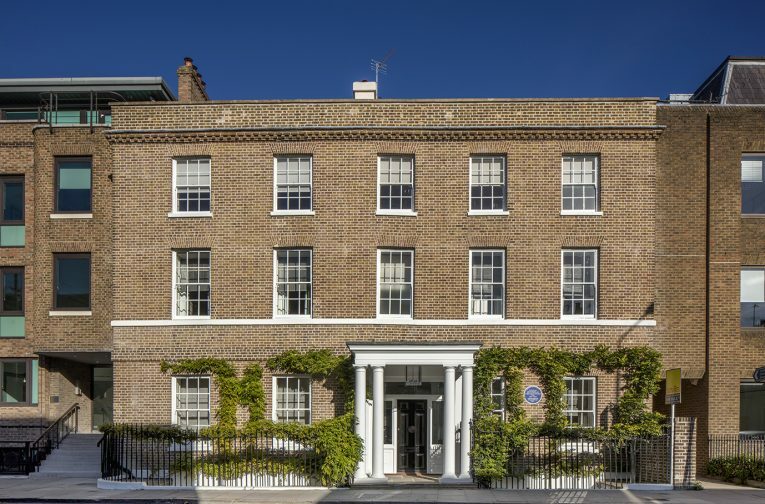 The Hogarth Press publishing company was set up in the drawing room of 34 Paradise Road. 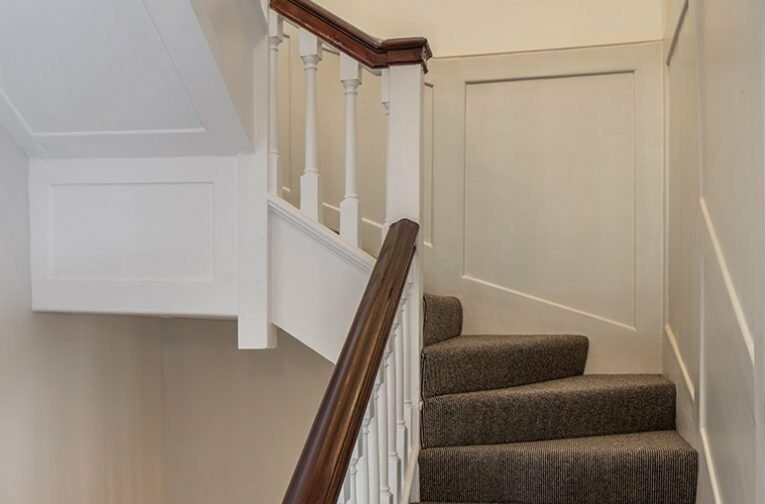 Insall has restored the building back to its 1870 use as two houses, having successfully achieved Planning Permission and Listed Building Consent to change back to residential use. 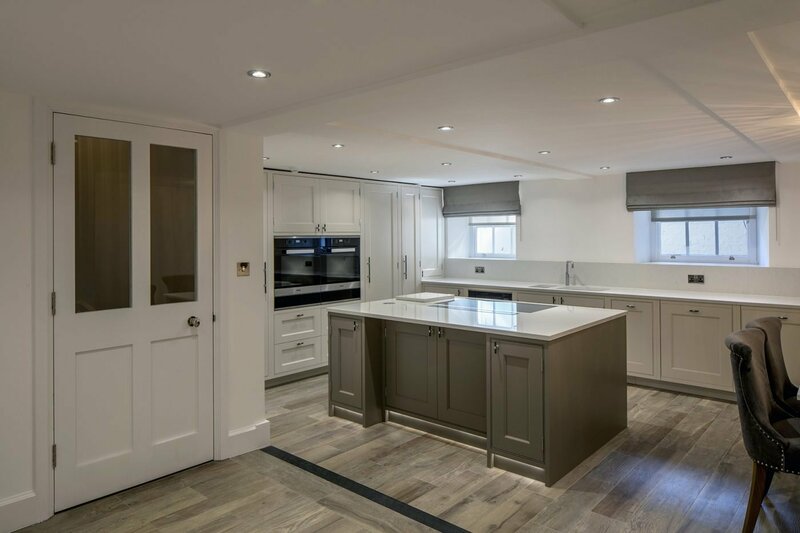 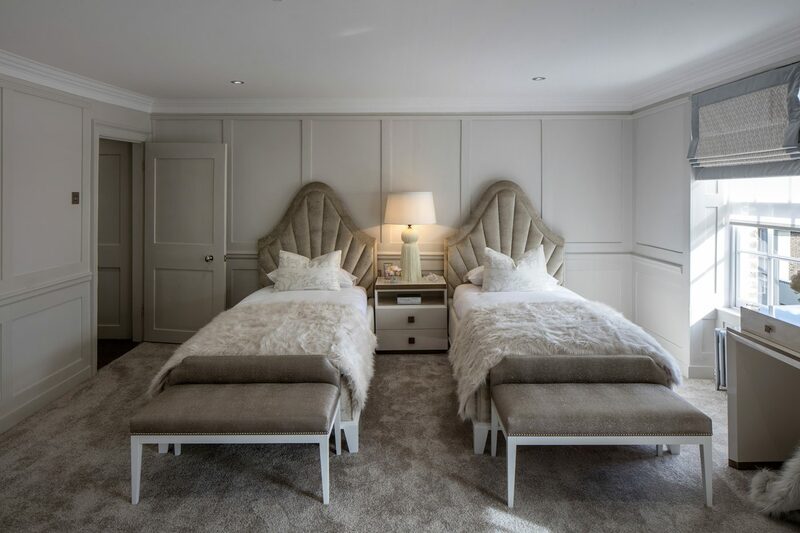 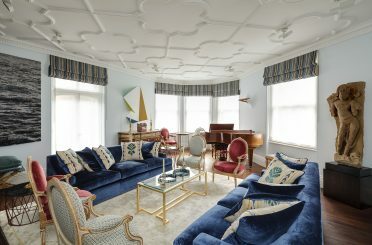 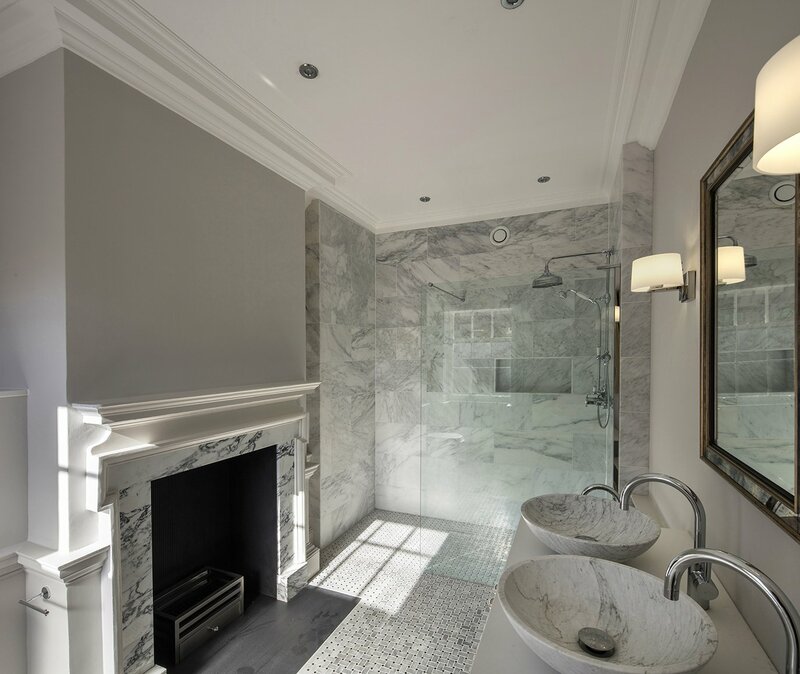 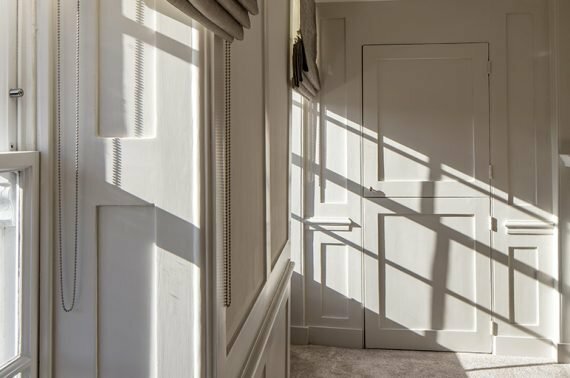 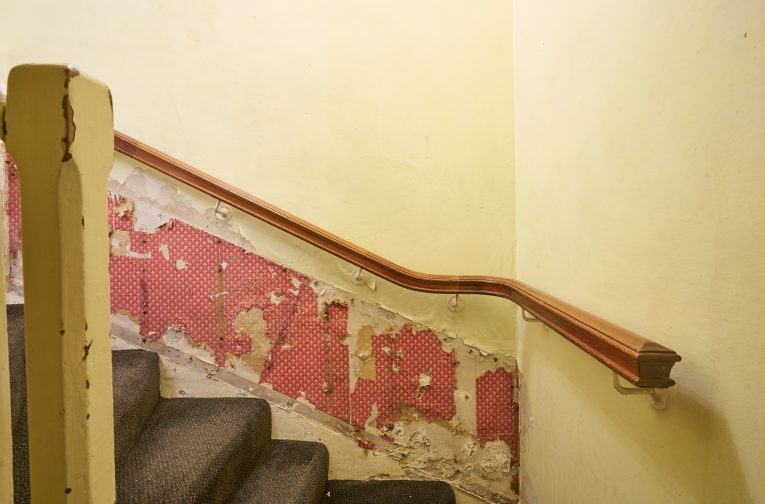 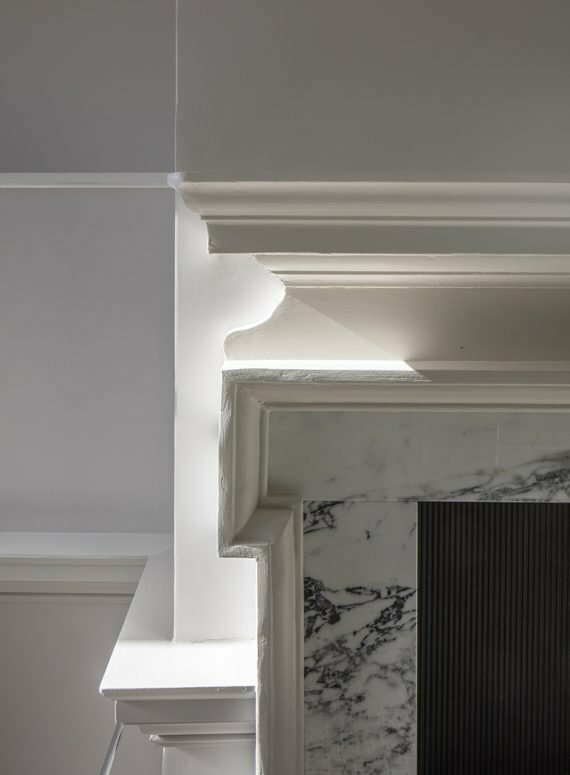 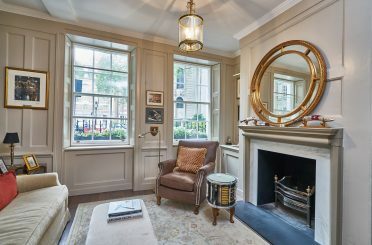 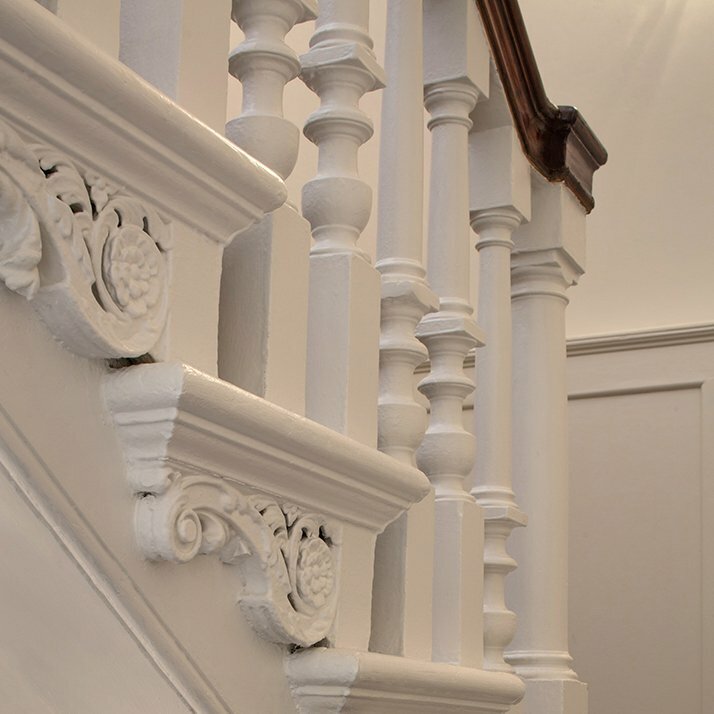 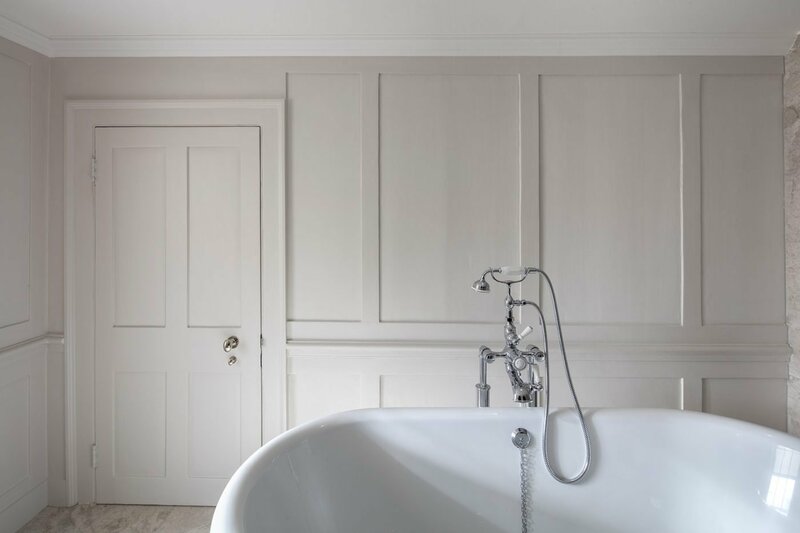 Together with new services throughout, plus new bathrooms and kitchens, the houses benefit from new conservation roof lights to the inner roof valleys to maximise daylight, the reinstallation of lost wall panelling, panelled doors and period fireplaces, and the reinstated classical front portico.